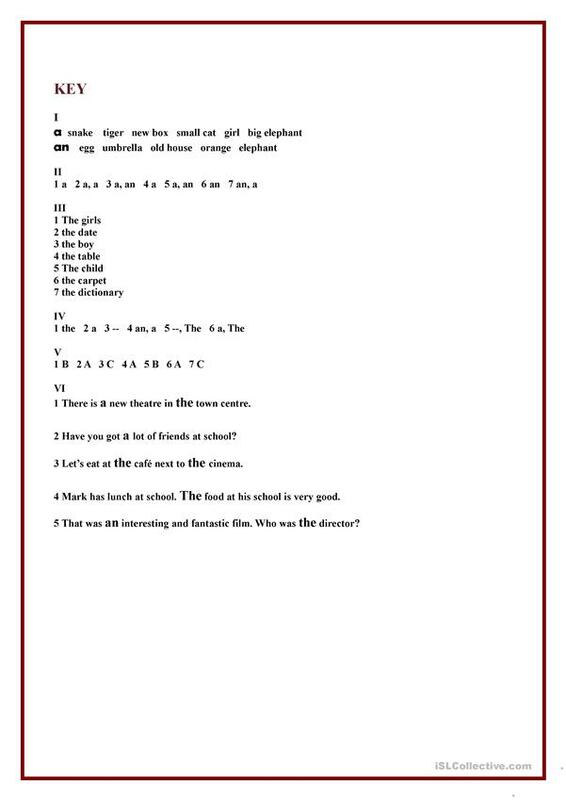 This worksheet contains a brief grammar explanation and six different exercises dealing with articles: a, an and the, with key on page two. Hope you find it useful. This downloadable worksheet is best suited for high school students and elementary school students at Elementary (A1) and Pre-intermediate (A2) level. 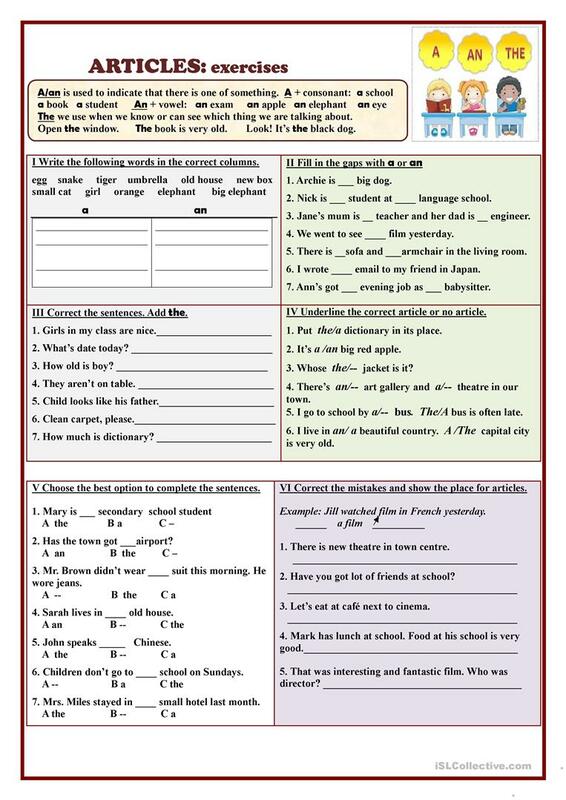 It is aimed at practising Articles, Articles: definite article, Articles: indefinite article and Articles: zero article in English, and can be used for developing your class' Reading and Writing skills. You will find the answer key at the end of the worksheet.